The retail real estate market continues to bustle in Palm Beach County amid strong demand and limited supply. The direct vacancy rate dipped to 7.2 percent in the third quarter from 7.3 percent in the second quarter, according to preliminary CBRE data. And average rents increased to $19.80 a square foot from $19.52. "The market is strong and getting stronger," said Russell Bornstein, senior vice president at CBRE in Boca Raton. A strong economy and population and tourism growth are fueling that strength, he and Kirk Olson, senior director of Marcus & Millichap in Miami, told The Real Deal. "There's not a lot of construction going on," Bornstein said. "Year-to-date absorption has totaled 296,000 square feet, while only 228,000 is under construction." The pattern of the retail real estate market in South Florida is similar to that of other sectors, Bornstein said. Growth is spreading north - from Miami-Dade County to Broward to Palm Beach. "Tenants are looking to do new deals in Palm Beach County as an inexpensive alternative," he said. The rental rate of $50 a square foot for a top property in Palm Beach County may not sound cheap. "But when you're looking at $100 in Miami-Dade, it is," Bornstein said. "Retailers doing a store in Miami, seldom do just one store, so they look at Broward and Palm Beach County." The hottest geographical areas for retail real estate in Palm Beach County are the eastern and western ends, Olson said. The east side has the money, population and tourism, while the west side is growing in population with new housing communities, he said. All sectors of the market are doing well, Bornstein and Olson say. Grocery-anchored shopping centers, particularly ones anchored by Publix, are generally the most coveted by institutional investors, Olson said. Grocery stores bring foot traffic to a shopping center. 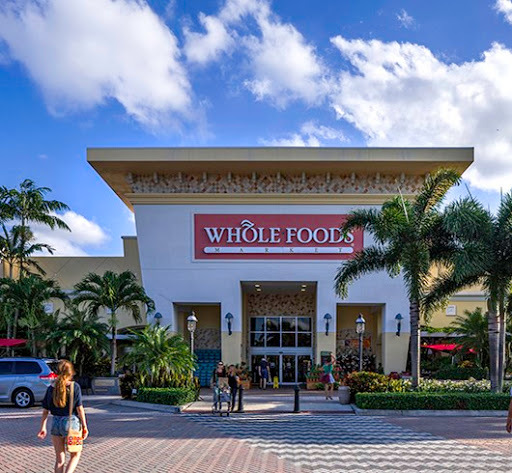 The University Commons shopping center in Boca Raton, anchored by Whole Foods Market, sold for $80 million last month. Meanwhile, open-air malls are a hot sector throughout the country, particularly in Florida, Olson noted. The hugely successful Palm Beach Outlets in West Palm Beach sold for $278 million in May. Given the shortage of land, there's a lot of activity with smaller projects, particularly ones that are part of mixed-use developments, Bornstein said. For example, Ram Real Estate sold the Mark at Cityscape apartment building in Boca Raton last week for $81.74 million. The building includes 18,000 square feet of retail. There's plenty of action on the restaurant side too. For example, Pie Five, a pizza chain, plans to open 28 restaurants in South Florida by summer 2016, with the first sites including Wellington, West Palm Beach, Boca Raton and Fort Lauderdale, according to Olson. Bornstein and Olson see the strength continuing. "As development is restrained and demand strengthens from tenants, things will only get tighter," Bornstein said. But he doesn't see rents rising above $50 to $55 a square foot.